The food cart trend has come to Oregon City, as the first cart has recently opened. 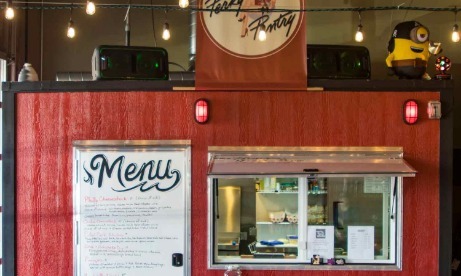 The Perky Pantry is the total definition of a fun cart that is located inside The HiVe, a taproom featuring the craft beers of Batch 1 Brewing and Shattered Oak Brewing. It's a great relationship, as patrons now have some delicious food to enjoy while sampling the beers, ciders and meads created by the two brewers, and many of those foods from Perky Pantry incorporate beers from the two craft makers. It's a relationship made in foodie heaven. The name comes from owner Melissa Down's plan to keep a flexible menu. While there are some mainstays that will be offered, like authentic Philly Cheesesteaks, there will be other fun items. She says she likes to keep it simple, "bar food with a twist" as she reaches into the pantry to see what to make today. Another regular menu item are her pierogi, which she taught me how to make. They have a delicious potato, cheese and onion filling that makes these wonderful little dumplings a perfect bite while sampling some great craft beers. They are surprisingly simple to make, although I admit hers came out much more professional-looking than mine. They still tasted good though, but that's probably more because of her filling than my ability to fold some dough. I will be heading back to get a Philly Cheesesteak for lunch in the very near future, and perhaps a little sass from Melissa who is just as fun as her food is yummy. The Perky Pantry is open Tuesday through Sunday from 11:30 am to 8 pm. 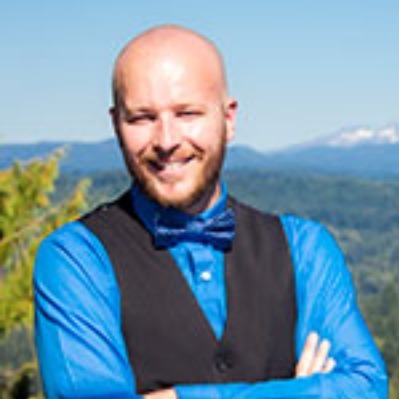 They're located at 1351 Beavercreek Road in Oregon City. See you there!